With ’90s trends still in full effect, it’s easy to understand why we’re stumbling upon the space buns hairstyle on Pinterest. The iconic do – worn on the big screen by Carrie Fisher and then recreated in the 1990’s by Gwen Stefani and the Spice Girls – is seriously out of this world. Probably the biggest fan of this hairdo is Miley Cyrus. 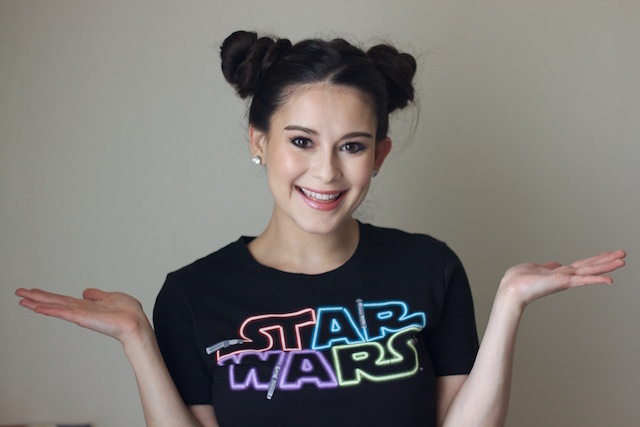 Let’s not forget how she rocked space buns like no one else. With her eccentric barrettes, colorful ribbons and glitter-filled buns, she made this trend come back full force. 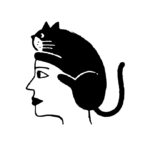 Celebs like Katy Perry, Britney Spears, Rowan Blanchard and the Kardashian family have all put their own spin on the double bun hairstyle. And with so many concerts and festivals creeping into fall, we can’t wait to see how stylish music fans rock this unique ‘do. 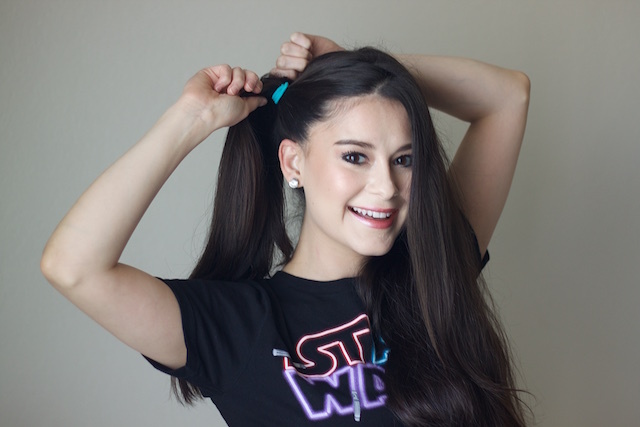 Whether you’re feeling pumped up about Star Wars: Rogue One and having major Princess Leia vibes, or just looking for a music festival-inspired hairstyle, the double bun trend is the way to go. It’s effortless, easy, and crazy cute. 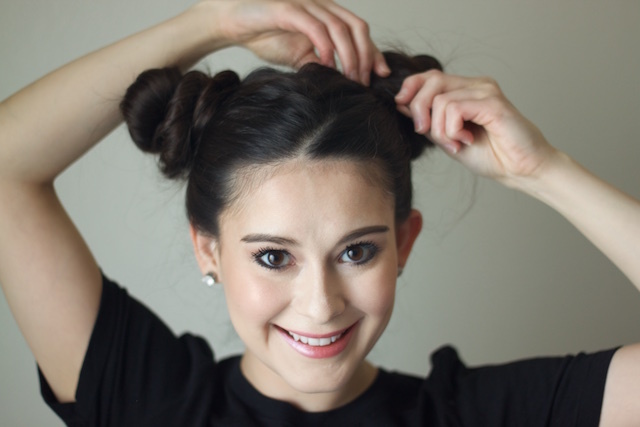 Here is a simple space bun tutorial that will help you achieve this magical hair look. But before we get started, turn on “Spiderwebs” by No Doubt and unleash your inner ’90s Gwen Stefani. 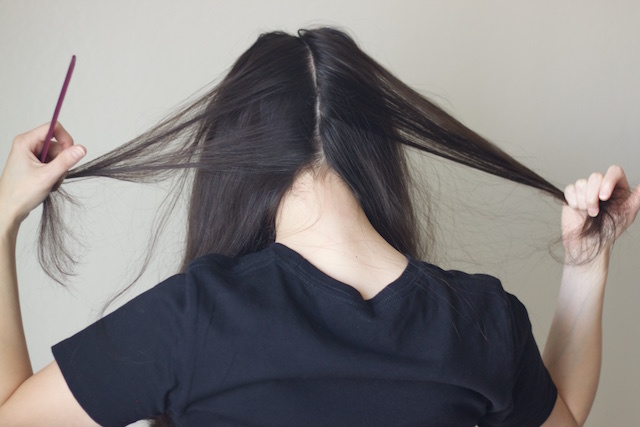 Don’t worry about your hair being full of volume! 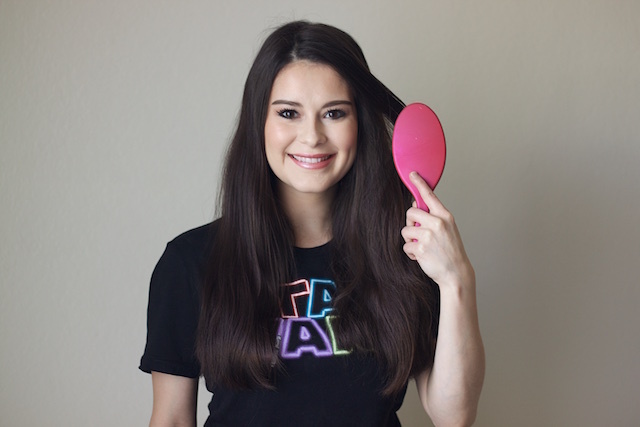 My hair tends to get frizzy after I brush it out but, this will work in your favor in the end. Because this is such a playful look, you can create any kind of part that you desire. I parted my hair in a zig-zag style in the front and went with a simple middle part in the back. Basically, party in the front and business in the back. For this step, try keeping your parts separate. 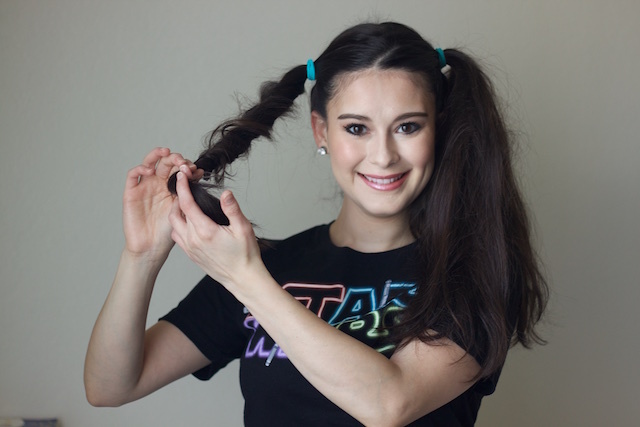 I used my brush to help me create a side ponytail. I made sure to keep my pigtails high up towards the front part of my head that way the buns are the main attraction! Repeat this step on the other side. To add volume to my double buns, I teased my hair after I put them in pigtails. The more teased your hair is, the more full your buns will look. Repeat this step for the other part. After you’ve teased your mane to your heart’s desire, twist your hair and roll it up to create a bun. Again, have fun with this look. I decided the messier the bun, the cuter it would be. Repeat this step for the other part. 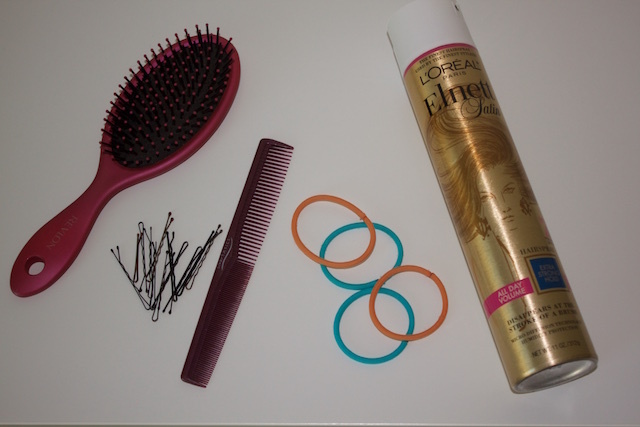 Once you’ve twisted your hair and rolled it up into a bun, add your second set of ponytail holders. Because I have thick hair, I need extra hairbands. You can also add bobby pins to hold your buns in place. 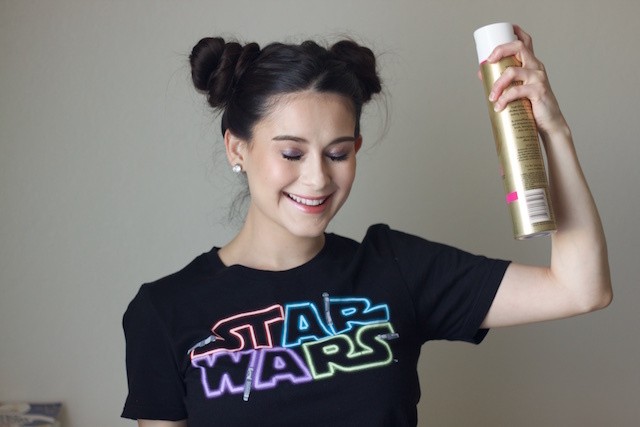 Add your favorite hairspray or texture spray to keep your out–of–this world space buns in place all day long. Now you’re ready to conquer the world, ahem, universe with this adorable hairdo.